John Mini is nationally recognized for outstanding and distinctive indoor, outdoor and holiday landscaping. 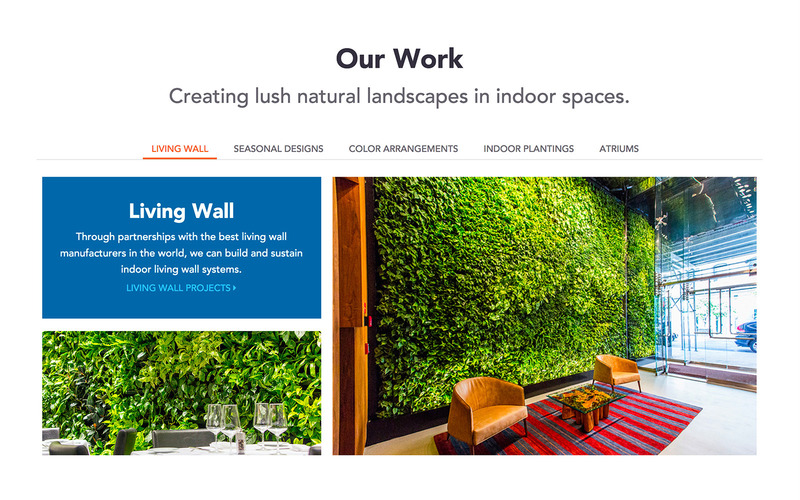 John Mini came to Hudson in need of a website revamp that reflects what they do - using vibrant colors and aesthetics to transform any space into a work of art. Previously, the company’s website design was set on a black background with dark features and small images that did not properly showcase their gorgeous projects. Landscaping offers a visual experience that is aesthetically pleasing and we knew that their website should do the same. 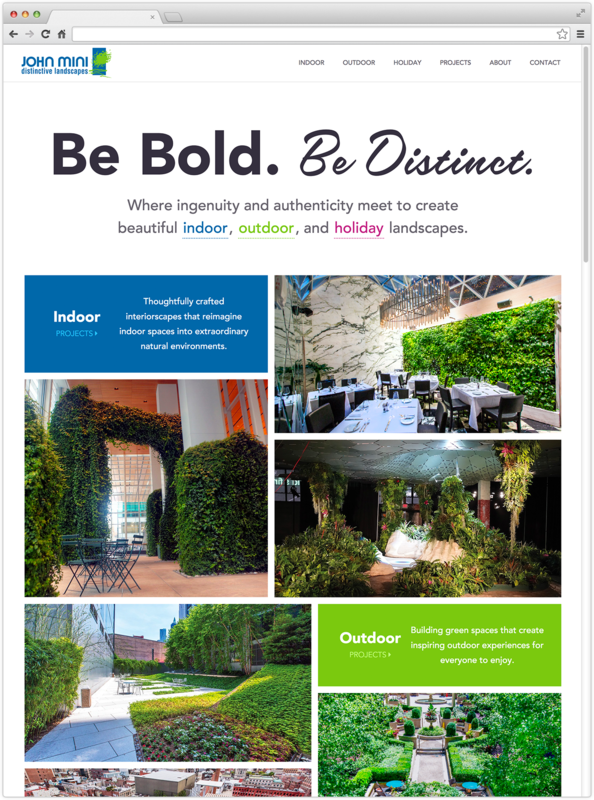 Recognizing the importance of aesthetics in the landscaping industry, Hudson designed and developed a new website to showcase the colorful, vibrant, and unique company John Mini is known to be. Based on interactions with John Mini’s employees, as well as interviews with their clientele, we were able to pinpoint the John Mini brand as both professional and fun. Following suit, we made the website a bit more lively by adding more color and updating the fonts to connote a more welcoming feel. 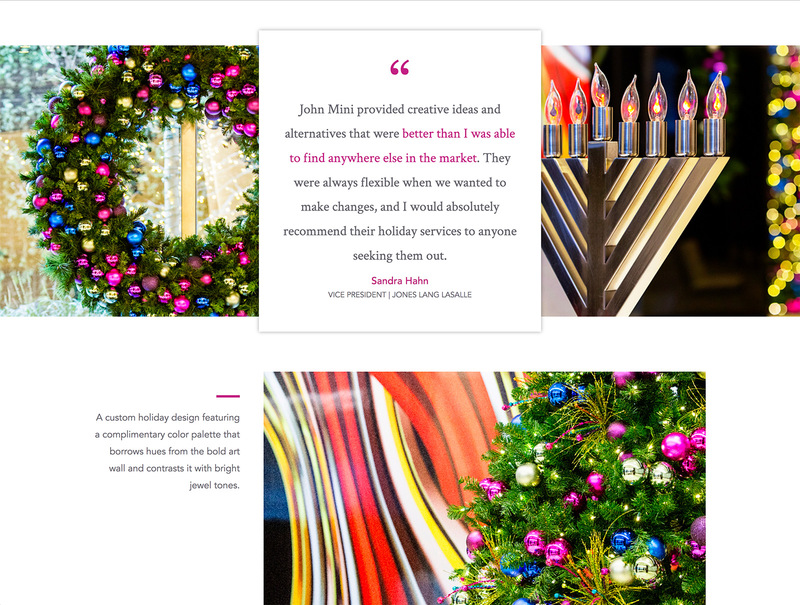 We also worked with the John Mini team to figure out how to best portray their varied offerings on the homepage, strategically placing all the high definition photos they provided to showcase the beauty of their work from the get go. In an effort to revamp their brand messaging, we refined the company’s voice to contribute to their new, brightened look and also came up with a new tagline - “Be Bold. Be Distinct” - to speak to their offerings and value proposition in a concise way. 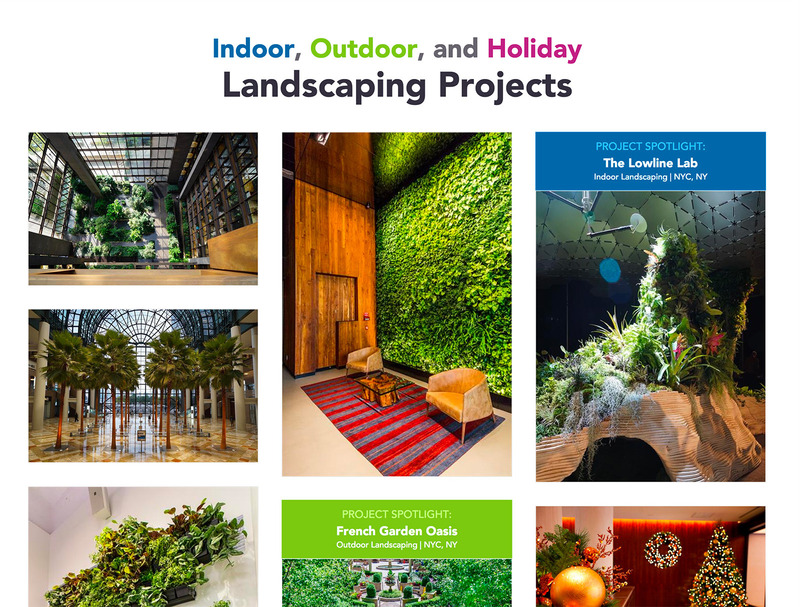 Additionally, we added a projects section which includes past and present indoor, outdoor and holiday project photos and descriptions. 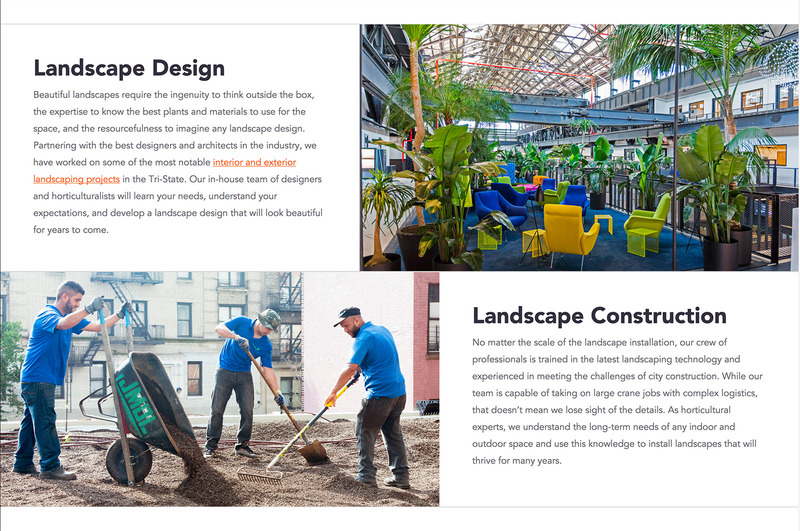 Overall, John Mini’s new website highlights all of the services they have to offer, and attracts new clients with an impressive portfolio including gorgeous, high resolution landscaping photos and in-depth project overviews. Our web design, development and digital strategy teams continue to work together to enhance the website’s user experience and offer search marketing strategies and tactics, to help increase SEO through improved UX, ongoing technical SEO updates, and ongoing content strategy.